Male. Lives in Oegstgeest, Netherlands. 21 years old. FPVBook, FireBlade_FPV, VigilantehFpv and 1 other pilot likes this. 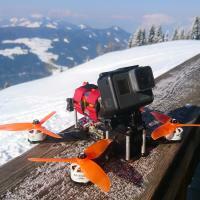 FPVBook, FireBlade_FPV, SH_FPV and 1 other pilot likes this. FPVBook, Nicholas Lubbe, FireBlade_FPV and 2 others likes this. Congrats! This is now the FPV video of the week! FPVBook, InspireFPV, proto and 1 other pilot likes this. Congrats, this is now the FPV video of the week!! Nice slope maneuvers bro! Solid selfie-orbit as well! FPVBook, Yoni PIdRATE and yonkers_fpv like this. This is now the FPV video of the week, congrats! Yeah thank you very much!! !